Although the 2016 Summer Games aren't even over, one superstar athlete already has crowds talking about the 2020 games. After she set the bar at a new height in gymnastics, her fans are wondering: Will Simone Biles compete at the 2020 Olympics In Tokyo? While everyone who watched Biles flip, leap, and twist her way to gold in Rio is dying to know if she'll return to defend her all-around win, this four-time Olympic gold medalist isn't ready to start thinking that far ahead just yet. While Aly Raisman, Biles' teammate, has said she's "definitely thinking about" trying for the next Olympic Games, Biles appeared a lot less certain in an interview with Today's Matt Lauer. "I don't know. That's a really long ways away. We'll see," she said when asked if she was planning on competing in Tokyo at the 2020 Games. The subject of a second Olympic Games is reportedly one Biles has yet to discuss with her family, according to Yahoo News, meaning it's anyone's guess if the 19-year-old will attempt to add to her already impressive Olympic medal collection when she's 23. 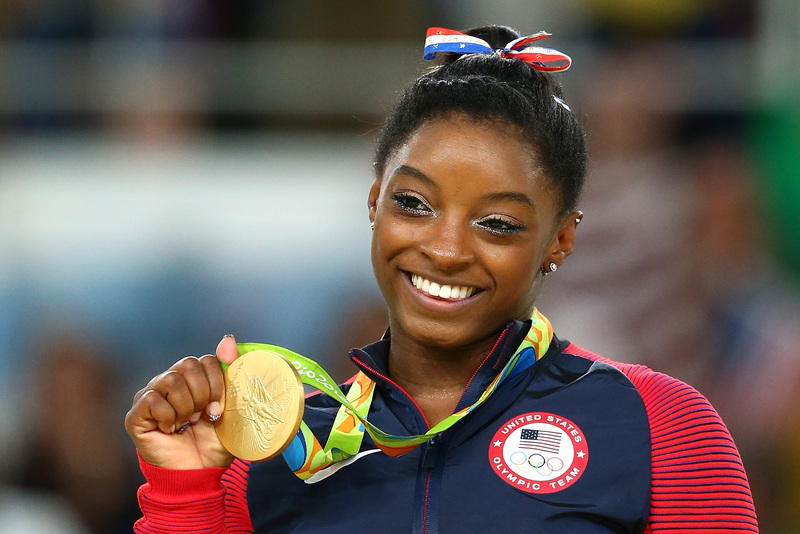 It's not altogether surprising that Biles wants to enjoy the moment in Rio a little longer. Just being in Rio for two weeks is, by itself, surely an amazing experience. Although Biles is expected to continue competing after the Olympic Games wrap up in Brazil, there's no guarantee any gymnast — or athlete for that matter — will be able to avoid injury between now and the 2020 Tokyo Games. While Biles' performance in Rio has surely solidified her as the greatest gymnast of all time, aging is sometimes an insurmountable hurdle in gymnastics. Along with the sport's intense physical demand on gymnasts' bodies, small changes in height or weight brought on by aging can make it difficult for a gymnast in her mid-20s to perform moves that may have come easy to her as a teen. At 19, Biles is currently slightly older than the historic average for female U.S. Olympic gymnasts, which is reportedly around 16. She'll be 23 in 2020, but that certainly doesn't mean she'll be too old to compete. Although her teammates nicknamed her "grandma," 22-year-old Raisman proved age doesn't have to equal retirement by winning silver in the individual all-around and floor exercise. With her incredible athleticism, Biles could potentially find similar success if she opts to try for a second Olympic Games.